Both creeping phlox (Phlox stoloniferais, Phlox subulata) and tall garden phlox (Phlox paniculata) are favorites in flower beds. 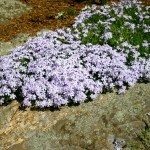 Large patches of pink, white, purple or blue creeping phlox are a cheery sight in spring when most other plants are just waking up from their winter slumber. Tall phlox can dominate the summer garden with long lasting, continual blooms that draw butterflies, bees and even hummingbirds to the garden. Unfortunately, both types of phlox can be prone to a variety of diseases and pests that can discourage gardeners from growing the charming plants. In this article, we will discuss reasons for phlox yellowing and drying out. Why is My Phlox Yellow and Dry? Phlox plants are specifically prone to fungal diseases such as southern blight, rust, powdery mildew, etc. Powdery mildew is the most common fungal disease of phlox plants. This disease is first noticed by powdery white spots or coating on plant tissues. The disease may progress to phlox yellowing and drying out, as well as excessive leaf drop. 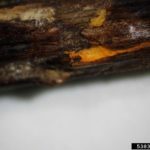 Fungal diseases can deplete phlox plants of vital nutrients and water by interrupting the plant’s natural flow of xylem and phloem and its ability to photosynthesize properly. This can lead to yellow or chlorotic and dried out phlox plants. 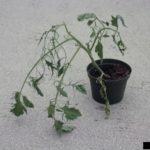 Nutrient deficiencies, lack of water, improper lighting and chemical drift can also cause yellow, dried out phlox plants. In addition to fungal diseases and unsatisfactory environmental conditions, phlox plants can fall victim to viral diseases such as mosaic virus, curly top virus and aster yellows. These diseases can oftentimes present themselves as phlox yellowing and drying out. Many viral diseases are spread by insects like leafhoppers. 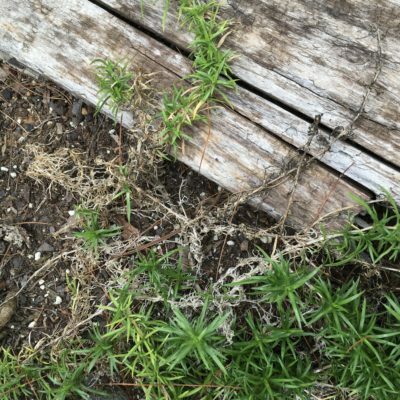 Most fungal diseases are soil borne and infect phlox plants when water from rain or manual watering splashes back up from infected soil on to plant tissues. 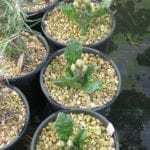 Watering plants with a slow, light trickle of water directly at the root zone can help prevent the spread of many fungal diseases. However, we cannot control rain; therefore, using preventative fungal sprays before symptoms appear can also be beneficial. It is also important to provide phlox plants with proper air circulation, prevent overcrowding by properly spacing plants and dividing them frequently, and always clean up and discard fallen leaves and other garden disease. To ensure healthy plants, phlox should be fertilized regularly, either with slow release fertilizer for flowering plants or monthly foliar sprays. Phlox plants also prefer slightly acidic soil and may not perform well in soils that are too alkaline. Creeping phlox and tall garden phlox grow best in full sun, in densely shaded areas phlox plants may yellow and not grow properly. Preventative insect control may protect phlox plants from viral diseases. 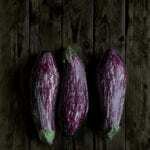 However, when a phlox plant is infected with a viral disease, there is usually no cure. Infected plants should be dug up and destroyed.